Maryland has a storied military history, which spans all the way from the American Revolution to the Persian Gulf. Its soil even served as one of the bloodiest battlegrounds in the Civil War. Today, Annapolis, the state capital, is home to the prestigious United States Naval Academy. So you can bet the state takes a bit of pride in its military personnel, regardless if they are stationed at one of the local bases or fighting in some remote desert. The Motor Vehicle Administration (MVA) is keen on the fact that those on active military duty have it a bit rough when it comes to certain things. Especially those far from home and preoccupied with things like training and/or combat. Sometimes it is literally impossible to take care of certain MVA-related matters like renewing a driver license. Thus service members do get a few perks. If you are stationed out of state when your renewal is due, you can renew your license by mail by applying for an absentee license. Request an absentee license application by calling (410) 768-7000 or e-mailing the MVD. Attach a copy of your military orders or other proof of active duty. Return to the application the address indicated on the form. Will expire before you return. Was lost, destroyed, or mutilated. Needs to be corrected before you return. Driver's license or soundex number. Temporary out-of-state mailing address (can't be a P.O. Box). Reason for a temporary license request. Signature and date of request. Fax the request to (410) 424-3050. Your license (and those of your dependents) remains valid as long as you are an active member of the military and stationed outside Maryland. Upon your return to the state or your release from the military, you then have 30 days to renew your license. You can do so by visiting an MVA office. If you're unable to provide the above, you'll need to retake the written and driving exams to renew your license. To get a MD license when you hold a valid out-of-state license, you'll need to pass a vision exam and present any required documents for proof of ID. If your OUT OF STATE license has expired for more than than 1 year and you can provide proof that you are currently on active duty or military dependent status (i.e. you have a valid Military Photo ID Card) you will pass a knowledge and skills exam, as well as a vision test, to get your Maryland driver's license. You will need to show proof of your Social Security number or proof of ineligibility. In addition, any dependents stationed with anyone on active duty are also covered under this provision. Motorists residing in Maryland must have an emissions assessment conducted on their vehicle every 2 years. But, those serving on active military duty can forgo making a trip to an inspection station by either completing a request online or by calling VEIP at (401) 768-7000. If you are a resident of another state but are stationed in Maryland, you have the option of maintaining your home state vehicle registration. That is, if you have your car in state and only if the out-of-state registration is current. 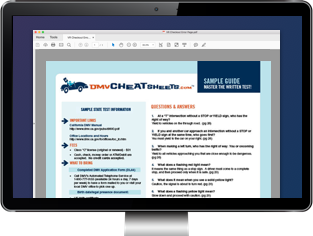 If you are stationed outside of Maryland and purchase a vehicle, you may be able to title and register it temporarily without having to undergo a vehicle inspection until you return to Maryland. You will need to complete Sections A and B of the Maryland Temporary State Inspection Waiver (Form VR-129) and take it to a MVA office in person, or mail it to the Glen Burnie Office.